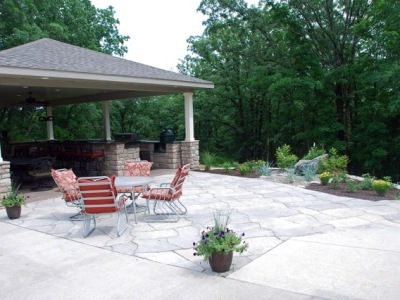 Everything Designer Landscape does involves your outdoor living spaces. We strive to create rooms in nature that inspire, relax, and just make it fun to be there. 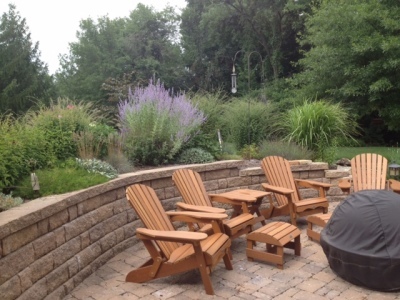 We take great pride in our creative abilities to build long lasting structures such as outdoor kitchens, paver patios, wet bars and water features, decking, pergolas, fire pits and fireplaces, stone pathways and walls, while using the highest quality materials. On those crisp fall evenings after Mizzou wins, what’s better than having the guys over for a bonfire? Or a sleep-over/campout for the kids? At Designer Landscape, we can design and install any size and style of fire pit or fireplace that fits your taste and budget. Rustic or modern, large or small, we’ll add the Designer Touch! There are many finishes to choose from for your fire place or fire pit, and our designers are ready to help you decide which one is best for your outdoor living space. Natural stone veneers are a beautiful choice and come in a variety of colors and styles. Flagstone, manufactured block, and stucco are a few more of the many other options for finishes. Are you the grill chef in your house? You’re in the right place! Our designers are eager to give you the Outdoor Kitchen of your dreams! Natural stone countertops, tub sink, storage, gas grill, charcoal grill, pizza oven, meat smoker, pergola, bar top with stools, lush greenery, crackling fire pit, trickling waterfall… Need we say more? The Designer Touch. 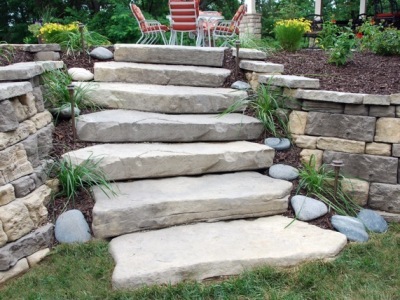 Contact Designer Landscape to help with any of your Outdoor Living needs.